A single conviction for driving under the influence of alcohol or drugs can lead to the loss of your license, elevated insurance rates, heavy fines and time in jail. Subsequent offenses only increase the penalties involved for a DUI. If you have been charged with drunk driving and already have a DUI on your record, you need skilled legal guidance. 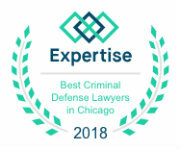 At the law offices of John W. Callahan, Ltd., our Illinois repeat DUI offense attorneys know how to protect you. If you have been arrested, you need immediate legal assistance. Call us anytime or you can contact us online to schedule a free and confidential consultation. A third DUI will be charged as a felony. After the first conviction, the state will likely seek a suspension of your license lasting 12 months or longer. The damage that these and other penalties can do to your future is enormous. For many, multiple DUI convictions can lead to a revolving door of criminal problems. The result can be a lengthy stay in jail. Having a DUI conviction on your record does not change your rights. You are not guilty of DUI simply because you have been arrested and have a prior drunk driving offense. The stiff penalties make it vital to fight the charges against you with an experienced and dedicated criminal defense lawyer by your side. Our goal is to get you the best possible outcome. We have obtained dismissals and not guilty verdicts in a wide variety of DUI cases, including those against people with prior DUI convictions. We work with expert witnesses and use our vast trial experience to find and exploit the weaknesses in the case against you. Our knowledge of DUI law and criminal trial practice allows us to provide strategic representation to those accused of DUI. We will aggressively protect your rights. 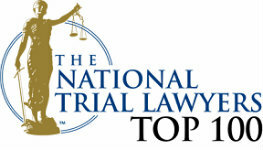 The sooner we begin work on your case, the better the odds of obtaining an excellent result. You have no time to lose after a DUI arrest. Contact us online or call us anytime to schedule a consultation. Representing Clients in Aurora, Elgin, Carpentersville, St. Charles, Batavia, North Aurora, South Elgin, Campton Hills, Geneva, Dundee Township and all of Kane County.